Hello there, how are you all!? I know you can’t reply, but I’m hoping you’re all happy and well anyway. Feels like it’s been a bit too long since I posted my second part to my denim posts! So sorry for the late update! 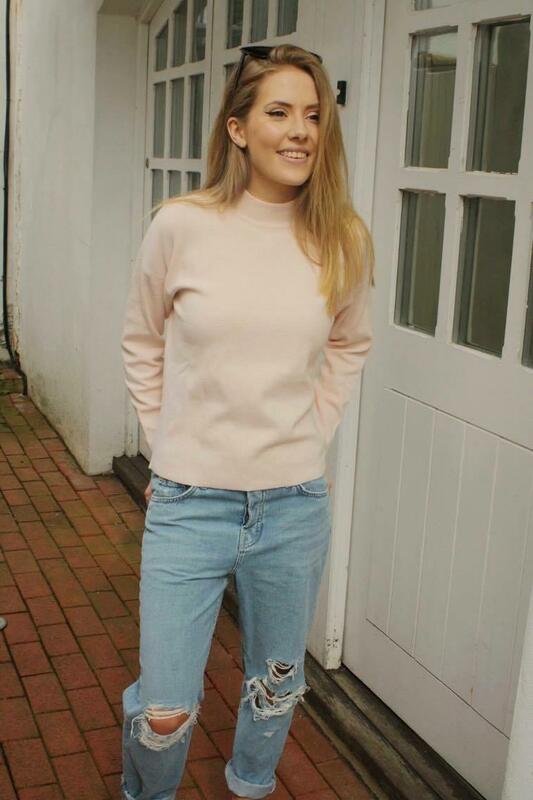 This outfit is with my new favourite style of jeans…The Hayden’s! 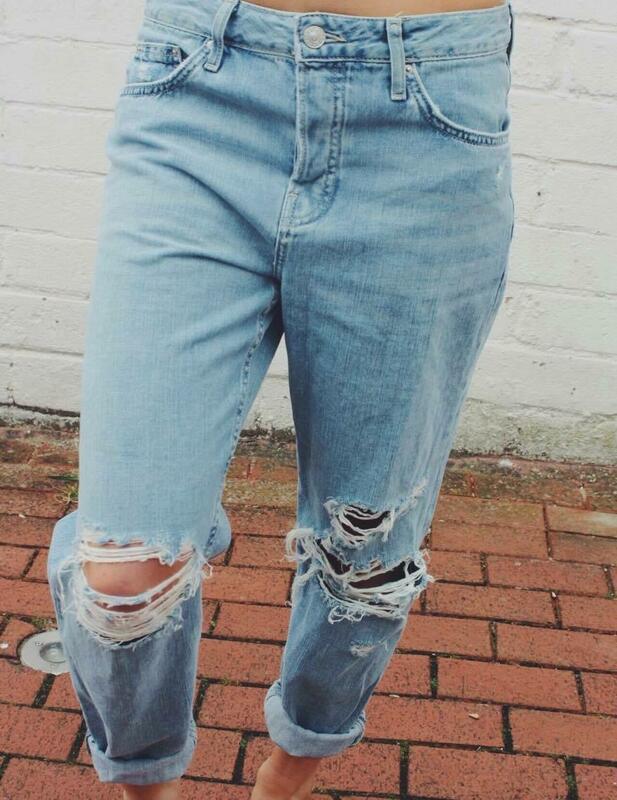 These jeans are amazing! They were a little out of my comfort zone at first and something I wouldn’t usually go for, (as I generally only like high waisted jeans) but after trying them on I couldn’t resist. I really recommend trying on something you wouldn’t usually when you go shopping because you can really surprise yourself. I sure did when trying these on, as I never thought I could even pull them off. They are a thick but lightweight demin which allows them to feel super comfy, and I’m pretty sure I’d happily sleep in them if it was appropriate, (I may have napped in them once before). 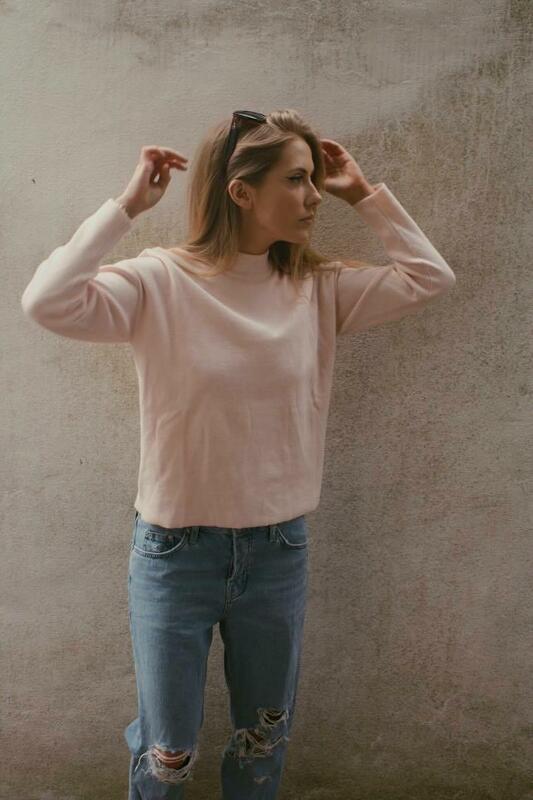 Low rise boyfriend jeans are the new thing at the minute and with summer starting to approach, having a nice pair of light denim jeans is great to dress with some summery crop tops or loose shirts and blouses. I tend to style my Hayden’s with casual jumpers or crop tops and trainers, usually for the days that I want to be super comfy. And as soon as the weather is warmer and I can get my feet out, I’ll style them with my Birkenstocks sandals or my new favourite Topshop purchase, black Delilah tie-ups shoes! (Which come in an amazing orange colour too). These shoes or some heeled courts can dress up the outfit nicely for summery evenings on the beach or dinner. Trying to keep it short and snappy for you all so you can just stare at pictures of my ripped jeans some more instead… So hopefully this shows you how nice the Hayden’s really are! Thanks also for still reading my posts whoever you may be, means a lot!